Beauty shopping is normally fun, trying different shades of lipsticks and gloss or going through palettes upon palettes of pretty shadows finding new shades is always an adventure. One thing I hate though is shopping for foundations. I believe foundation is one of the most important beauty regime but still finding the right foundation had been a very time consuming and annoying experience for me. In the last 5-6 years since I started using make up, I tried numerous foundation. I am sure it is every woman’s problem, to get a foundation that matches their skin colour and type. I had stand in front of the cosmetic section in a store trying to figure out whether I am sandy beige, beige or a toasted almond. There is also the choice between powder, stick, or liquid foundation. On top of that all these foundation are expensive so that buying and trying each of them means you have a lighter wallet and a stack of different foundations that you will never use. So it took me ages to find one that suited me perfectly after testing so many different brands. Surprisingly, I found it while I was visiting Nepal. The brand that worked perfectly for me was Isadora. It is a Swedish cosmetics brand and it was suggested to me by a cousin. Initially I was not very keen to try it as I had never heard of the brand but I was surprised when I did, it was perfect for my skin, evening out my complexion without being noticeable. I was so impressed that I bought 4 bottles to bring it to Australia. I was very happy with it and have continued to use it for a few years now. Every time I go to Nepal, I buy a few bottles so I have enough stock with me. Also when my parents or in laws visited us, I asked them to buy a few bottles for me so I always had a good supply of the foundation. But unfortunately the shop that sold the foundation stopped stocking it. I called them, emailed them but the answer was final. They were not going to restock it. 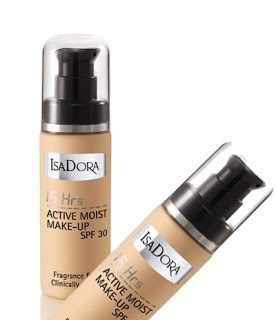 I was so sad that that I had to go through the process of finding another foundation as I could not find Isadora products in Australia. I even mailed the company in Sweden to find out if they had any partners here in Australia, but alas they did not. My only option was to get it shipped from Sweden but then the company doesn’t sell to the public directly. They just gave me the names of a few re-sellers in Sweden but most of them don’t ship outside Europe. Finally after searching through many pages of Google translate (wish I knew someone who spoke Swedish), I found one website which ships to Australia. So I emailed them to check if they will definitely ship to Australia and when I received a positive reply I was ecstatic. Finally I could just buy from their website and I could still use my favourite foundation. So, I went onto their website to order the product and when I reached the page with the shipping options I couldn’t find the option to ship to Australia anywhere. It required me to send an email again and after few emails, I managed to finally place my order. After 3 weeks, I received my product and now I am so happy. Do you have beauty story like that. What foundation you are using and are you happy? 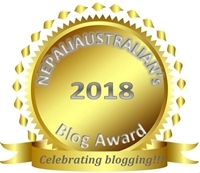 This entry was posted in adora, beauty, Fashion and tagged australian, beauty, foundation, isadora, M from nepaliaustralian, Nepali, Nepaliaustralian, nepall. Bookmark the permalink. Is that the stuff which women rub on their faces before going to sleep ? I can empathize with you. I have had almost similar experience and I could totally write about my experience as a blog post. I would hate to go through the ordeal all over again. It is painful. But, I found its easy to get best foundation in our country. For instance, MAC has certain foundations available only in those respective countries. Its just simple to create a product that they can sell. You are so right, i wish my skin liked the hundreds I tried here. Keeping the stock will be a key factor for me now onward . Australia sometime has very limited choice compare to other counties.